The Trump administration is looking to restock the bench of executive branch judges who rule on cases ranging from Social Security disability claims to labor relations disputes, but advocates say that hiring would only partially fix the problems that ail agencies. The Office of Personnel Management announced this week that it planned to open up applications for administrative law judges throughout government, aiming to replenish a register it maintains for the positions. All agencies hiring ALJs must select them from OPM’s database, after they have gone through a rigorous screening and interview process that generally takes at least six months to complete. OPM last opened the register in March 2016, only after receiving a congressional mandate to do so. For five years starting in 2009 OPM failed to update its list, despite receiving annual payments from its agency clients for the vetting services. About 85 percent of the executive branch judges serve at the Social Security Administration. SSA has struggled for years to keep pace with the influx of disability claims, which spiked during the recession, and now maintains a backlog of about 1.1 million cases. The average citizen filing a claim faces about a two-year wait. SSA cannot resolve the problem simply by adding more ALJs, however, according to Association of Administrative Law Judges President Marilyn Zahm. While SSA must hire 100 judges each year just to keep pace with attrition, Zahm said even an influx above that level would not sufficiently drive down the backlog. A shortage of support staff, such as clerks and attorneys, is the driving force behind the growing number of outstanding claims. SSA imposed a hiring freeze in May 2016 ahead of fears that its budget would continue to shrink. It remained in place after President Trump issued a governmentwide moratorium upon taking office. While the agency received authority from OPM to bring on 200 support staff while Trump’s freeze was in place, Zahm said that was a “drop in the bucket” that barely kept pace with the departures taking place across SSA’s 166 hearing offices. SSA lifted the freeze in May, but is hiring on a limited basis for direct service positions only. Currently, judges are producing more work than their support staff can handle. “Clerical work is not being done on cases,” said Zahm, who has served as an ALJ for more than 20 years, “so either a judge does it or it falls through the cracks.” She added she is not complaining about her work to be “snooty,” but, “If I’m doing clerical work I’m not doing judge work.” Put simply, getting bogged down in the paperwork prevents her from hearing more cases and issuing more decisions. SSA has shed almost 10 percent of its workforce since 2011, when it maintained nearly 68,000 employees. That figure will soon grow, as the agency earlier this year offered early retirement incentives to eligible employees across all job functions, besides ALJs. Employees accepting the offer must separate by Sept. 1. 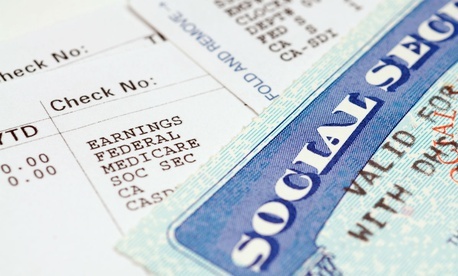 SSA has itself warned of the cumulative effects of sustained cuts at the agency, saying last year that congressional proposals would have caused delays in retiree benefit processing, a spike in the backlog of disability claims, reductions in field office hours and longer wait times for those calling Social Security for customer service. It also predicted furloughs of up to two weeks for employees and the shuttering of service locations. A measure approved by the House Appropriations Committee would appropriate $12.5 billion to SSA in fiscal 2018 for administrative expenses, the same funding level is received for fiscal 2017. In addition to budget and staffing issues, Zahm highlighted overly burdensome policies and procedures that drag down the entire system. The agency has overreacted to isolated scandals in recent years, she said, and gets “hysterical because more decisions don’t go out the door.” AALJ has proposed ways to boost efficiencies in the system -- such as shifting staff to conduct programmatic work, reshaping the adjudicatory process and assigning clerical workers to specific judges, but those proposals have so far fallen on deaf ears. Zahm said she feared the situation would only worsen at SSA as agencies across government look to trim their rolls under Trump’s direction. “That’s all well and good to reduce the workforce, but is anyone going to reduce the work?” she asked.